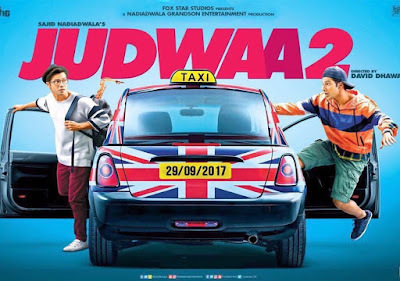 Judwaa 2 is a 2017 Indian Hindi-language action-comedy film directed by David Dhawan. The film is produced by Sajid Nadiadwala and music by Sajid-Wajid, Meet Bros, Sandeep Shirodkar and Anu Malik. The film stars Varun Dhawan , Jacqueline Fernandez and Taapsee Pannu in the lead roles. The film is scheduled for release on 29 September 2017.